Gosh this week I have got a lot of crocheting done. 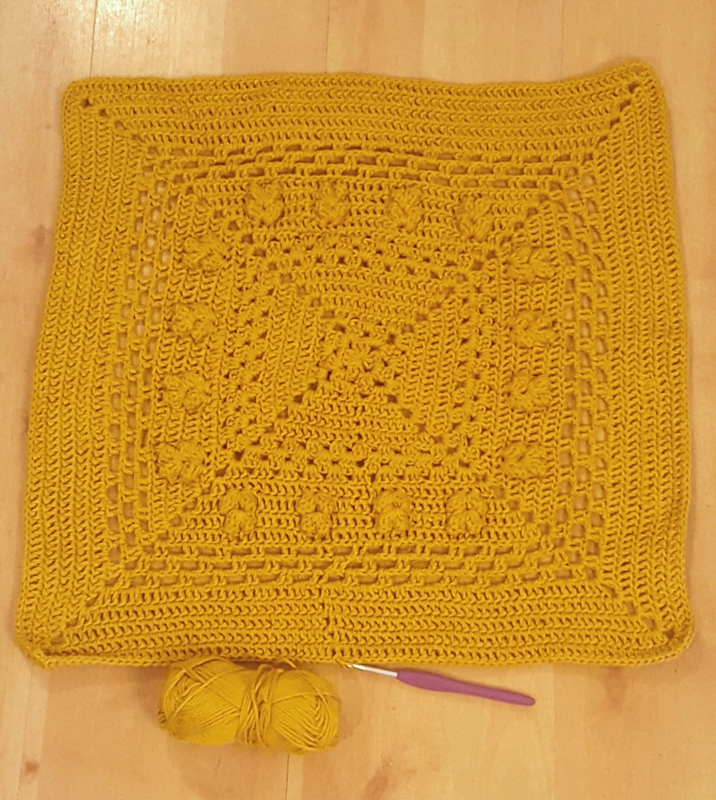 Firstly, I reached the 25% mark on the squares required for the mystery project – I have done one of every pattern and have now started from week 1 again. I currently have 14 squares complete and am on my fourth colour. I initially planned for it to be a poncho but have had a change of heart and have now decided it should be a slouchy jumper instead. I really hope to have completed it in the next few days, as I would love to be able to wear it during my birthday celebrations this weekend. We shall see. 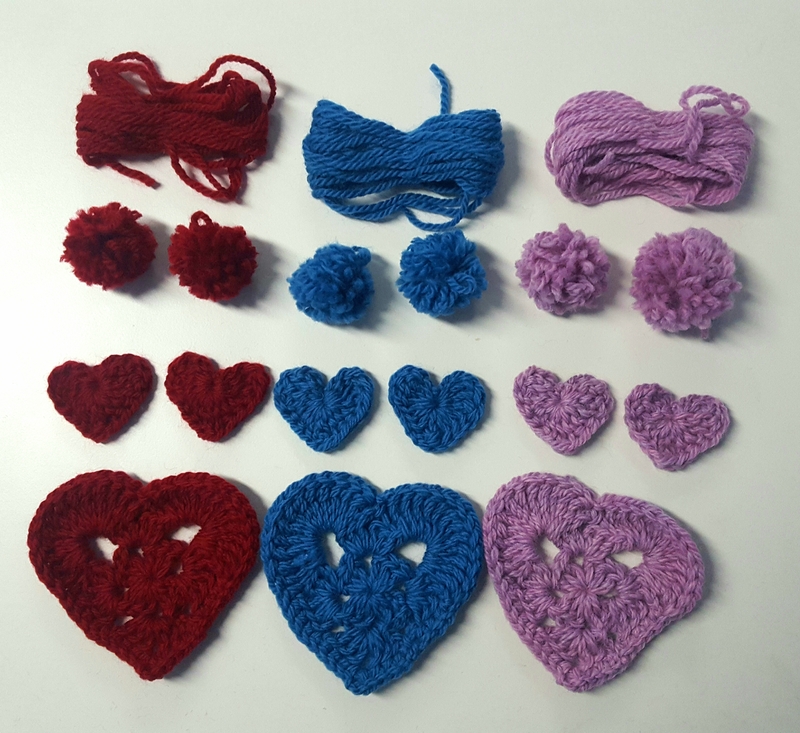 Finally I have finished the components for my Hook a Heart bunting. I just need to get them together. Next week I hope to have many WIP’s. I finished my night shifts this morning, and I dont have to return to work until October 16th, so I forsee plenty of craftyness in the coming days! And I will be starting to make preperations for my christmas crafting blogs for this year! Keep your eyes peeled! 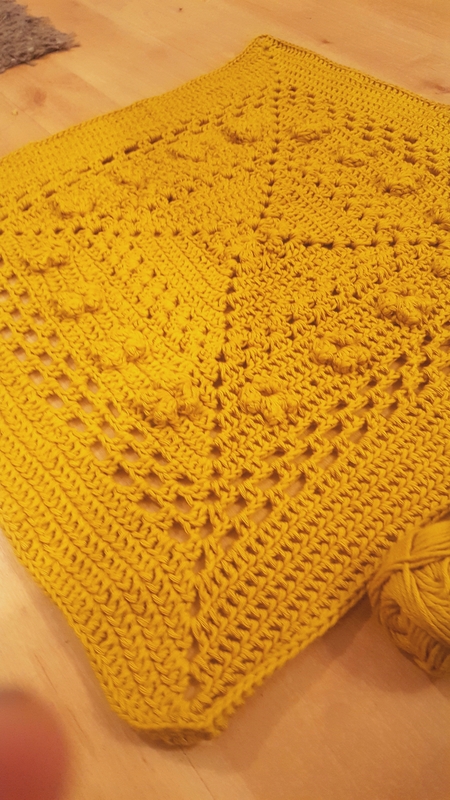 I’m a sucker for Marguerite stitch, so I love that. Your bobbles and popcorns, though, look really neat and will go well with the Marguerite blocks. More important than having a poncho done is to have a great time on your birthday! Have lots of fun, poncho or poncho-less and then have some good crochet-a-thons on your days off. 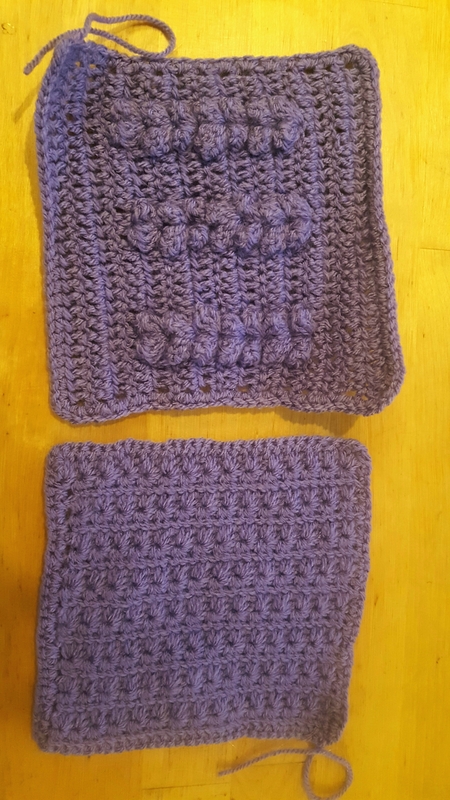 I had never tried it before this project but i think i love it too!